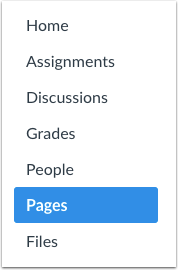 As an instructor, you can add a course file to a page. 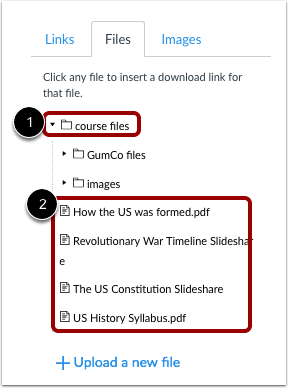 Click the Course files folder . When it expands, click the subfolder where the file is located . In the Content Selector, click the name of the file you want to insert into the Rich Content Editor . The name of the file will appear in the Rich Content Editor and flash yellow . Then the name will turn blue, indicating it is a link. Previous Topic:How do I embed a video in a page in a course? Next Topic:How do I view the history of a page in a course? 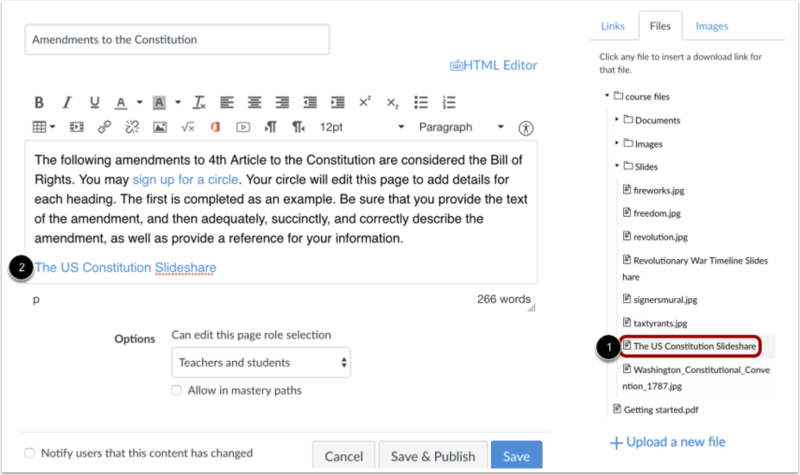 Table of Contents > Pages > How do I create a file link in a page in a course? Re: Allow students to view a rubric before submission/grading occur?